Football season draws near, which means it’s time for the biggest sports title of the year to hit the gaming market. EA’s on the promotional trial for Madden 13 at the moment, giving media a first look at the latest title during its Hot for Holidays Showcase at Crimson in Midtown, NY. Assistant Designer Patrick Bellanca tackled the specifics on camera and gave us an exclusive preview of the game, touching on the new Infinity Engine, as well as the latest career mode additions. Just when you thought the franchise couldn’t advance anymore, EA comes out of nowhere and transform you into a believer. We’ll let Patrick take over from here. 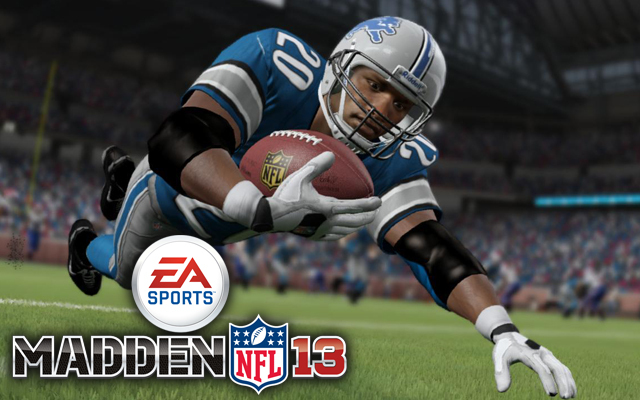 Pre-order Madden 13 right now (and ASAP).